I am sure anyone who is into wheels has heard of Rotiform, and if you haven’t, then check them out. 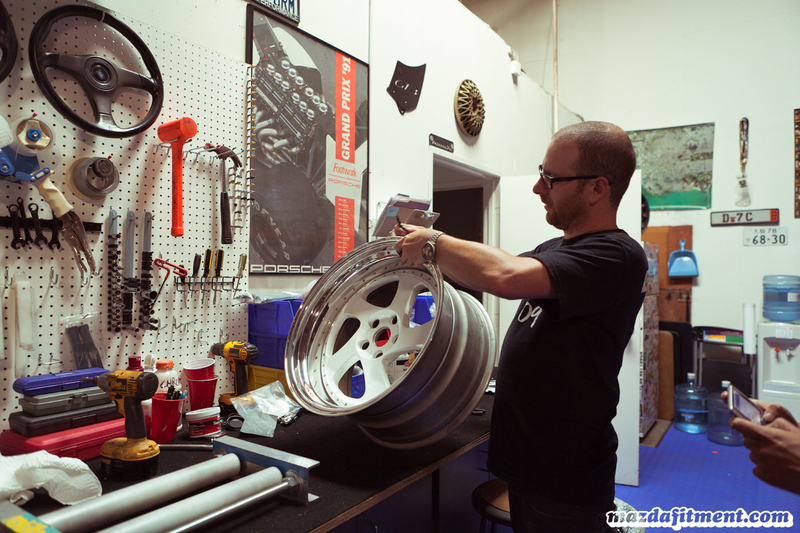 They design unique cast, forged, custom 3-piece wheels, and do custom wheel restorations on nearly any wheel out there. Here is a test fitting video to fine tune the fitment on the Rotiform 3 Piece Forged Race TMB wheels. Royal Origin x MazdaFitment x LowBallers – Test Fitting Rotiform from MazdaFitment.com on Vimeo. 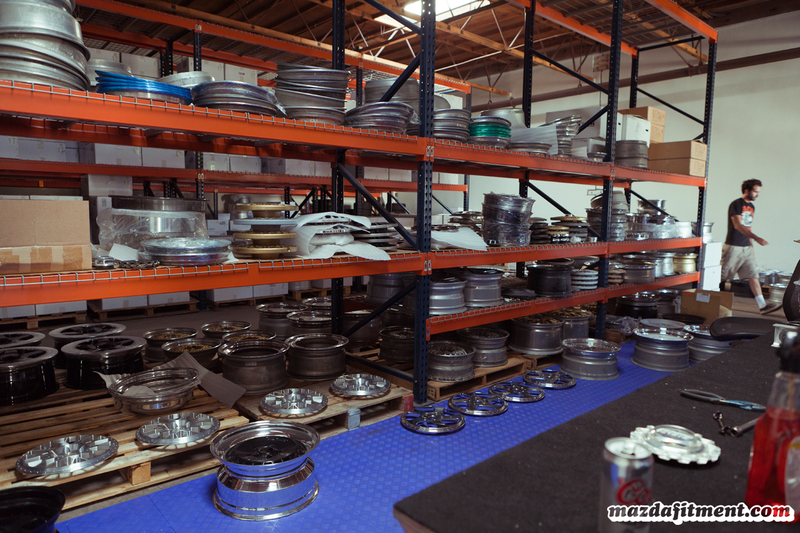 While visiting the Rotiform warehouse and office in Westminster, California, Rocky and myself were able to see how everything was being handled from excellent customer service to excellent production results. 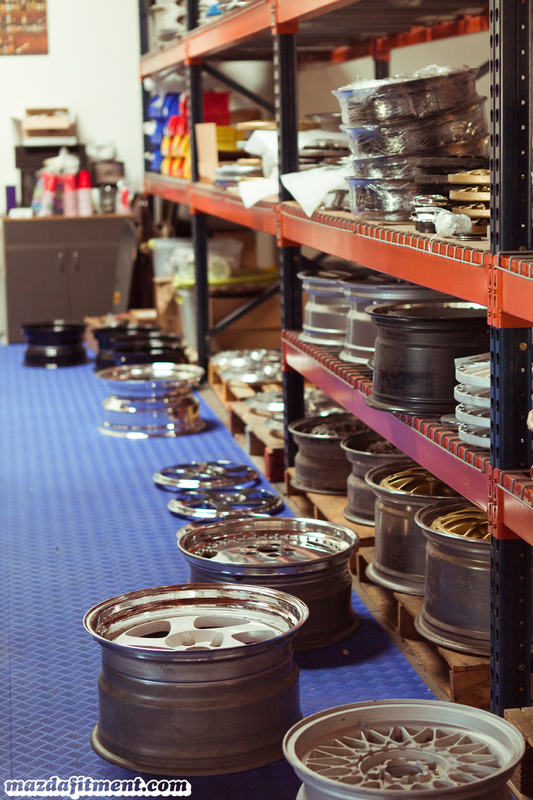 Barrels, lips, faces, and accessories scattered throughout the shelves of the Rotiform warehouse all ready to be assembled for various future projects. Walking into a warehouse like this is so amazing it makes you feel like the cliche saying of being like a kid in a candy store. Just nothing but quality here. Completed projects organized to be shipped out to the lucky individuals that are able to get their hands on these products. 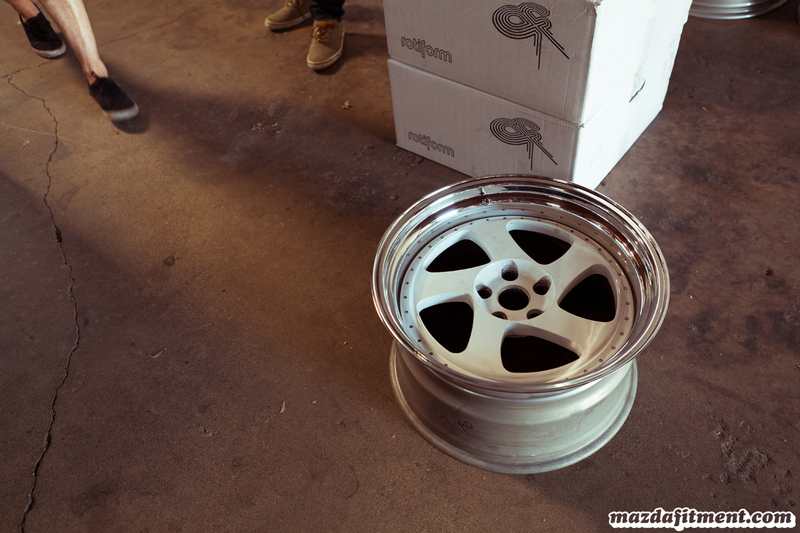 You can see the Rotiform TMBs lurking in these pictures; all shot by Rocky. Jason Whipple, one of the owners of Rotiform completing the final touches to the Rotiform TMBs by adding the much needed and important valve stems. 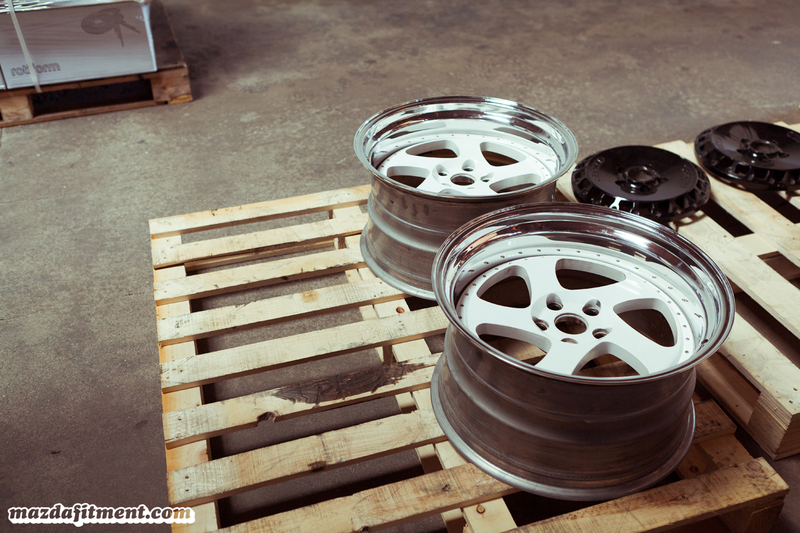 The completed rear Rotiform TMBs ready to be loaded and taken to get tires mounted. Most people do not know this, but the TMBs are actually made to have a right side and left side set for the car because of the fact that the faces are directional themselves, and the tires are directional as well. There is a specific order you must choose if you want the faces and tires to be facing the proper positions. One of the front wheels in the set getting ready for the final touch I mentioned before being ready to be loaded into the car. Look at all those other beautiful sets nearby. The last front wheel ready to be loaded to the car. We were really excited to get them loaded and ready to put on the car. However, I was personally nervous to do a new setup on the car since it has been a long time, and this is a completely different look for the car. But, these being my favorite wheels since more than a year ago, I had to have my dream wheel in my hands. Be on the look out for the end results. It is low and cool!! By the way,what music used with a movie?